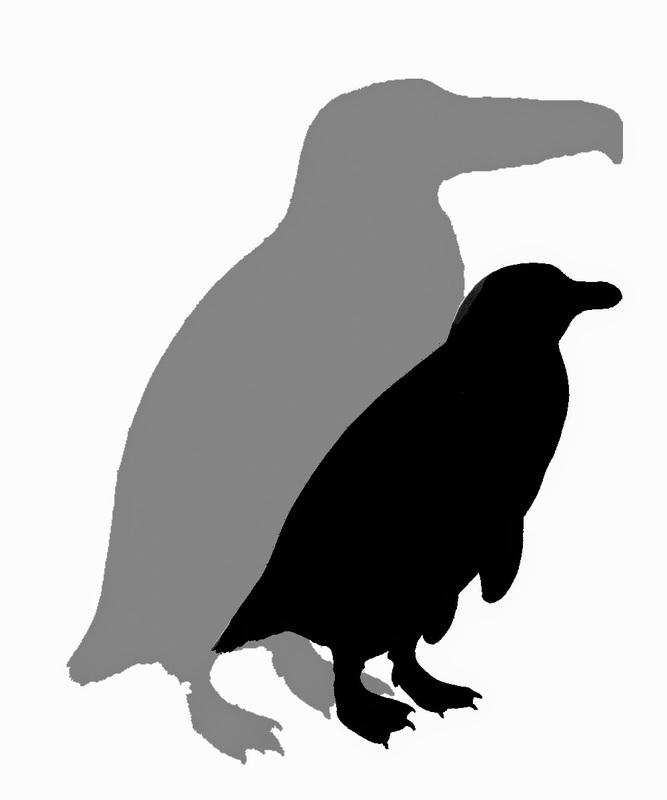 Over the next couple posts, Daniel will share information about prehistoric penguins. Learn more about penguins, their ancestors, their physiology and their biology. Visit the Aquarium! Keep reading for more about the first penguins in South America's fossil record. South America welcomed its first penguin visitors about 40 million years ago, roughly 15 million years after as our flippered friends established themselves in Antarctica. The oldest fossils from this continent were discovered in Tierra del Fuego, at the southern tip of the landmass. Looking back at the geological record, this is not surprising. During the Eocene Epoch, South America was much further South then it is today. The swim from the Antarctic Peninsula to Tierra del Fuego would have been an easy journey for penguins. Penguins quickly progressed north on both coasts, and fossils have been discovered in Peru, Chile, and Argentina recording their past diversity. In fact, they soon reached latitudes of 14°S in Peru, well within the tropics. Early subequatorial penguins soaked up rays on the beaches of a “Greenhouse Earth” during the Eocene, at a time when global sea surface temperatures averaged more than 5°C (~10° F) higher than today. Several unusual types of penguins thrived in this region. Roughly 34 million years ago, a spear-billed penguin called Icadyptes salasi prowled the coast. This species was able to impale its prey with a long, straight, reinforced beak unlike any modern penguin. Later, around 10 million years ago, “bobble-headed” penguins like Spheniscus megaramphus and Spheniscus urbinai appeared. These species are extinct relatives of the modern banded penguin group that includes Humboldt and Magellanic penguins. Each had a powerfully hooked beak with a sharp, downturned tip. This beak shape likely helped these menacing birds get a grip on prey like fish. These intimidating penguins were likely ensconced at the upper levels of the food chain for a long time. Today, mainland South America hosts more unimposing penguins, included the banded Humboldt penguin and Magellanic penguin, and the crested macaroni penguin and Southern rockhopper penguin. (The last of these can be seen at the New England Aquarium today!) These species are important predators of small fish and other marine life, but penguins as a whole seem to have relinquished part of their former role in the ecosystem to marine mammals like seals and sea lions in the modern day. "bobble-headed" Spheniscus urbinai to the same scale.